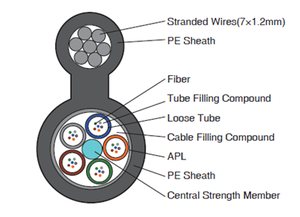 This kind of cable use upper messenger wire to support aerial cabling. It is designed for places with heavy wind weather or even ice frozen climate. The cable requires specified working load tension design to provide capable construction and mechanical characteristics to afford outdoor vile condition. Normally, it’s recommended to use ITU-G652D fiber for data transmission, other mode upon request, as well as the outer sheath. Normally, you can provide us the local climate information also the worst wind speed to design it accordingly. 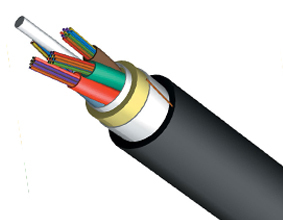 Cable Diameter mm 9.6 Dia. × 17.0 High. 10.5 Dia. × 18.5 High. Web Dimensions mm 2.0 Dia. × 2.0 High. MAT = Maximum allowable tension, or maximum working tension (worse environmental conditions) and ﬁbers have zero ﬁber strain. UTS = Approx. Breaking strain of the cable.